What: Queenstown Remand Prison was officially opened on 23 September 1966 to curb overcrowding at Outram Prison. Famous inmates include author of Singapore, My Home Too, Chee Soon Juan and American teenager Michael Fay. In 2010, just before Queenstown Remand Prison was slated to be torn down, Calvin Klein spent a night in the Remand Prison to showcase its Spring 2010 collection and invited celebrities like Ethan Ruan, Cynthia Koh, and Allan Wu, amongst many others. What: The latest on the list to be demolished, the public was invited to Queenstown Driving Centre on 13 December 2014 for the last time to bid farewell. Singapore’s second driving test centre, the Queenstown Driving Test Centre was built in 1968, costing $285,000. The centre was about the size of two football fields of 10,500 square meter. Up to 300 Highway Code and driving tests were conducted a day, with 14 driving instructors. Interestingly, a contrast from today’s computerised theory tests, candidates had to ‘drive’ a miniature toy car modelled with pedestrian crossings and traffic lights. If you miss this, you might also like: ComfortDelGro Driving Centre, Bukit Batok Driving Centre, Singapore Safety Driving Centre. Although there’s nothing to see unless you enjoy car-watching. If you don’t harbour memories of any of the places listed, you’re probably born in the ’00s. For the rest of us, how many places on this list have you visited and which are the ones you miss most? Let us know your nostalgic hangouts in the comments below. Old buildings and infrastructure have to be demolished to make way for the new, in the face of rapid urbanisation and development of contemporary Singapore. Here are 20 places in Singapore that no longer exist, some making their disappearances more quietly than the others. What: An iconic attraction in the 90s, the S$54 million water theme park was opened from Dec 1994 to 2 Nov 2002. The water park’s focal point was a huge 8-lane slide with water currents so hasty it could launch riders in mid-air momentarily. The compulsory entrance fee to Sentosa, on top of Fantasy Island’s entrance fee, coupled with inaccessibility due to limited SBS buses going into Sentosa, was a deterrent for many. The park’s demise was eventually accelerated with numerous media coverage of accidents and 2 deaths at the theme park. Where: Sentosa, No. 7, Artillery Avenue, before the Integrated Resort appeared. What: While Singapore may not have natural volcanoes, Volcano Land featured an artificial volcano, complete with Mystic Mayan motifs and scenery. A mythological explorer and his robot join visitors on their journey, which first starts with an ancient excavation. At the end, the Volcano Land show finishes off with a ‘volcanic eruption’. If you miss this, you might also like: Science Centre, maybe? What: The second amusement Park after New World, it was built in 1929 and known to locals as “Tua Seh Kai” in Hokkien. The site was initially a Chinese cemetery, but after redevelopment, the park has attractions such as a nightclub called Flamingo, a famous Cantonese restaurant called Wing Choon Yuen (now known as Spring Court), fun fair with rides like Ghost Train and four cinemas run by Shaw Brothers. If you miss this, you might also like: No alternatives available. Reminisce with Kelvin Tong’s 2010 film It’s A Great, Great World based on the park’s history. Where: Between Mountbatten and Geylang roads. What: Established in 1936 by George Lee Geok Eng, philanthropist Lee Kong Chian’s brother, the $350,000 park was previously known as Happy World, the third amusement park in Singapore. It provided an East-meet-West kind of nightlife entertainment, with ronggeng (a traditional Javanese dance), movies, arcades, gaming, cultural shows, wayang, cabaret performances, and trade shows a must-visit for couples in the 50s to 70s. Free admission failed to lure visitors in 1987, as the park headed for its gradual demise. In 2000, Eng Wah discontinued the park’s lease. It was eventually demolished together with Geylang Indoor Stadium in 2001. If you miss this, you might also like: Tough luck! What: The amusement park of yesteryear, Escape Theme Park is an outdoor theme park opened in May 2000. In November 2011, the theme park ceased operations to facilitate redevelopment such as the expansion of Wild Wild Wet, a water park adjacent to it. What: In September 1955, a fully-conditioned oceanarium named after Karl Willem Benjamin Van Kleef, a Dutch who resided in Singapore from the 19th to early 20th century, opened its doors. Van Kleef bequeathed his entire fortune to the Singaporean government after his death, for the “embellishment of the town”. The oceanarium housed 6,500 marine creatures of 180 different species. When Underwater World opened in 1991, most visitors went there instead. The Van Kleef Aquarium subsequently closed in 1991, with the building being torn down in 1996. What: The locals also know it as the Musical Fountain, or the Magical Fountain of Sentosa. 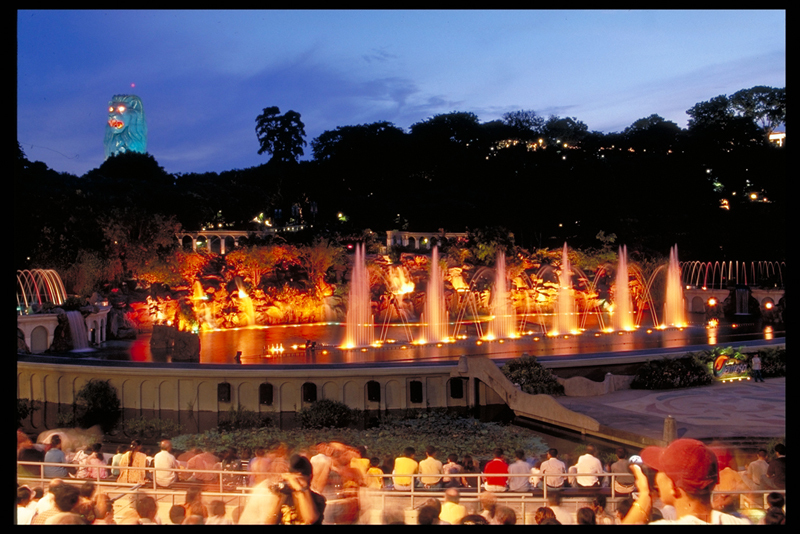 After 25 years, the Musical Fountain ceased operations on 26 March 2007 and was demolished in the same year. The area could fit more than 5,000 people and five different shows were hosted throughout the years it was in operation. The well-known Magical Sentosa show ran during the fountain’s last five years of operation. What: Affectionately known as KAP to residents and students who frequented the place, this 5,534.8 square meter space was pulled down for residential and commercial redevelopment after Oxley Holdings’ $150 million acquisition. The McDonald’s corporate headquarters was housed in KAP, along with one of Singapore’s largest McDonald’s, Cold Storage, Spinelli, Island Creamery and Cinta Mania. Since its opening in 1991, King Albert Park ceased operations on 16 March 2014. If you miss this, you might also like: Bukit Timah Plaza, which is just a stone’s throw away. Same quaint concept, not quite the same awesomeness though. What: After more than 30 years of service, the iconic East Coast Park McDonald’s closed its doors on 18 March 2012. Its landlord, the National Parks Board had plans for redevelopment in the area and this McDonald’s outlet is intended to be moved to a location 1.5km away, to East Coast Seafood Centre. What: Founded on 15 August 1887, Miss Sophia Blackmore’s mission was to provide girls an education. Its humble beginnings saw nine girls whose fathers wanted them to be educated in a period where girls were not encouraged to go to school. Their fathers, who were all Tamil businessmen, donated money and furniture, and helped convert the rent-free shophouse into Tamil Girls’ School, the predecessor of MGS. In 1992, the overwhelming number of students resulted in the school’s shift to Blackmore Drive. What: A two-storey food centre built in 1969, it housed at least 80 stalls. With delectable local delights like Hainanese chicken rice, Teochew fishball noodle, popiah and char kway teow, Commonwealth Avenue Food Centre was always crowded during lunch hours. What: A former waterpark that saw a major facelift – now named Playground at Big Splash, a dining and recreation area. Build in 1977, the main attraction of Big Splash waterpark was the 85-metre long water slide, dubbed the world’s highest, longest slide. Its initial popularity declined and it closed in 2006 for redevelopment. The slides were pulled down when Big Splash reopened in March 2008. What: The 1,715-seater cinema was built in 1977 and became a popular hangout for students and residents. The cinema had two movie halls and two screens, a spectacular feat for its time. Its heyday saw meandering queues outside the box office on weekend nights, with tickets costing around S$6. In 1999, the cinemas ceased operations. If you miss this, you might also like: Take your pick from the myriad of cinemas sprawled across the island. But in case you can’t make up your mind, we recommend City Square Mall’s Golden Village. Did you know they have an auditorium with a unique 42-seater ‘Couple’s Cinema’? What: An 18-lane bowling alley that opened in 1976. After Queenstown/ Queensway cinemas ceased operations, the bowling alley lingered on for a few more years before it was gone for good in 2000. 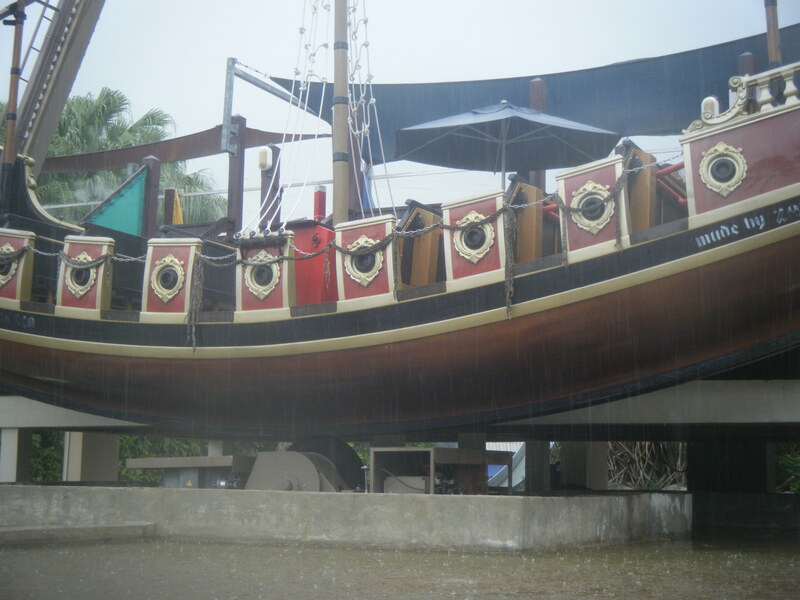 What: Built in 1991, this boat was home to Singapore’s floating A&W restaurant at Sentosa. Sadly, A&W fast food decided to move out from Singapore in 2003. This vessel has since been revamped, now known as Stewords Riverboat and relocated to Marina South Pier, housing Santa Fe Tex-Mex Grill and Breaking Bread. What: The first of three amusement parks, New World Amusement Park entertained night crowds along with Great World and Gay World. With exciting lineups such as a striptease, boxing matches, opera shows and cabaret girls, it was hardly surprising that the amusement park saw crowds ranging from labourers to Europeans. Under Shaw Organisation’s management, New World thrived for the next 40 years from 1923 until the 1960s when it faced competition from discos, shopping centres and television. New World finally closed for good in April 1987. What: The second amusement Park after New World, it was built in 1929 and known to locals as “Tua Seh Kai” in Hokkien. The site was initially a Chinese cemetery, but after redevelopment, the park has attractions such as a nightclub called Flamingo, a famous Cantonese restaurant called Wing Choon Yuen (now known as Spring Court), fun fair with rides like Ghost Train and four cinemas run by Shaw Brothers. What: Established in 1936 by George Lee Geok Eng, philanthropist Lee Kong Chian’s brother, the $350,000 park was previously known as Happy World, the third amusement park in Singapore. It provided an East-meet-West kind of nightlife entertainment, with ronggeng (a traditional Javanese dance), movies, arcades, gaming, cultural shows, wayang, cabaret performances, and trade shows -– a must-visit for couples in the 50s to 70s. Free admission failed to lure visitors in 1987, as the park headed for its gradual demise. In 2000, Eng Wah discontinued the park’s lease. It was eventually demolished together with Geylang Indoor Stadium in 2001. What: In September 1955, a fully-conditioned oceanarium named after Karl Willem Benjamin Van Kleef, a Dutch who resided in Singapore from the 19th to early 20th century, opened its doors. Van Kleef bequeathed his entire fortune to the Singaporean government after his death, for the “embellishment of the town”. The oceanarium housed 6,500 marine creatures of 180 different species. When Underwater World opened in 1991, most visitors went there instead. The Van Kleef Aquarium subsequently closed in 1991, with the building being torn down in 1996. What: Affectionately known as KAP to residents and students who frequented the place, this 5,534.8 square meter space was pulled down for residential and commercial redevelopment after Oxley Holdings’ $150 million acquisition. The McDonald’s corporate headquarters was housed in KAP, along with one of Singapore’s largest McDonald’s, Cold Storage, Spinelli, Island Creamery and Cinta Mania. Since its opening in 1991, King Albert Park ceased operations on 16 March 2014. What: To commemorate Singapore’s self-governing achievement in 1959, the National Theatre was erected as a public theatre for concerts, performances and conferences. It was selected as the venue for the first Southeast Asian Cultural Festival in 1963’s opening premiere, despite being only partially completed. In 1984, the theatre was declared structurally unsafe and closed. It was torn down in 1986 for the construction of an expressway. What: The latest on the list to be demolished, the public was invited to Queenstown Driving Centre on 13 December 2014 for the last time to bid farewell. Singapore’s second driving test centre, the Queenstown Driving Test Centre was built in 1968, costing $285,000. The centre was about the size of two football fields of 10,500 square meter. Up to 300 Highway Code and driving tests were conducted a day, with 14 driving instructors. Interestingly, a contrast from today’s computerised theory tests, candidates had to ‘drive’ a miniature toy car modelled with pedestrian crossings and traffic lights.